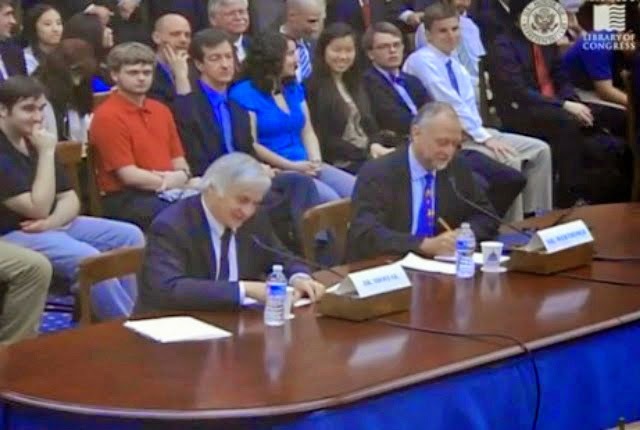 On May 22nd, 2014 two leading Search for Extraterrestrial Intelligence (SETI) researchers, took part in a hearing at the House Committee on Science, Space, and Technology in Washington D.C.
Dr. Seth Shostak, Senior Astronomer at the SETI Institute in California, and Dr. Dan Werthimer, Directory of SETI Research at the University of California Berkeley, both laid out the science and requested more funding to continue the search. The hearing was arranged to review the current state of the science related to the search for life in the universe. ‘In the last two decades, astronomers have uncovered one so-called exoplanet after another,’ Dr. Seth Shostak said in his written testimony. ‘The current tally is approximately two thousand, and many more are in the offing thanks to continued analysis of data from NASA’s enormously successful Kepler space telescope. ‘Estimates are that at least 70 per cent of all stars are accompanied by planets, and since the latter can occur in systems rather than as individuals (think of our own solar system), the number of planets in the Milky Way galaxy is of order one trillion. Dr. Shostak went on to state how Kepler’s primary goal has been to ascertain whether, amongst all these planets, there are habitable worlds like our own. ‘Recent analyses of Kepler data suggest that as many as one star in five will have a habitable, Earth-size planet in orbit around it. ‘This number could be too large by perhaps a factor of two or three, but even so it implies that the Milky Way is home to 10 to 80 billion cousins of Earth. Dr.Werthimer, meanwhile, was equally optimistic and echoed Dr. Shostak’s views. ‘It would be bizarre if we are alone,’ he told the committee. Dr. Werthimer insisted that the chances of microbial life being somewhere out there were "close to 100 percent." They also both agreed that Earth has never been visited by aliens. Dr. Werthimer, offered an even more startling rebuttal of a common terrestrial myth: "UFOs have nothing to do with extraterrestrials." ‘I don’t think that that would be something all the governments would have managed to keep a secret,’ Dr. Shostak said. Summarized information taken from journalistic sources.